Hi I’m Michaela and welcome to my blog. 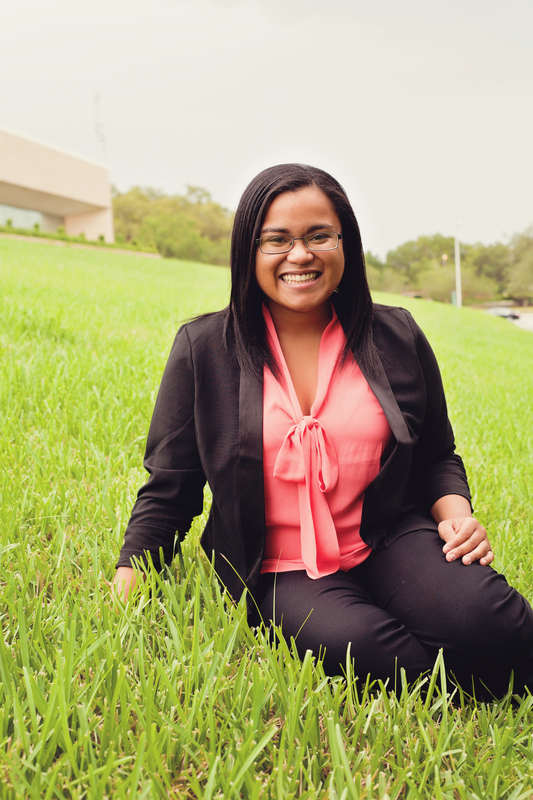 This blog will be used to document my journey from a student to a public relations professional. Started during my sophomore year of college for a class project, I had no real inspiration or direction for this outlet. After almost two years of schooling and research I decided to start blogging again. This time with a purpose! My goal for this blog is to create a place for students to find relatable stories and guidance for their personal journey. So what will you find in this blog? What you’ll find is a collection of post written by me, and maybe a few other students, detailing my journey. It’ll be a mixture of internship updates, how to articles, reviews and general post about public relation, advertising, marketing and more. I hope you will follow me on my journey and find what I post helpful. 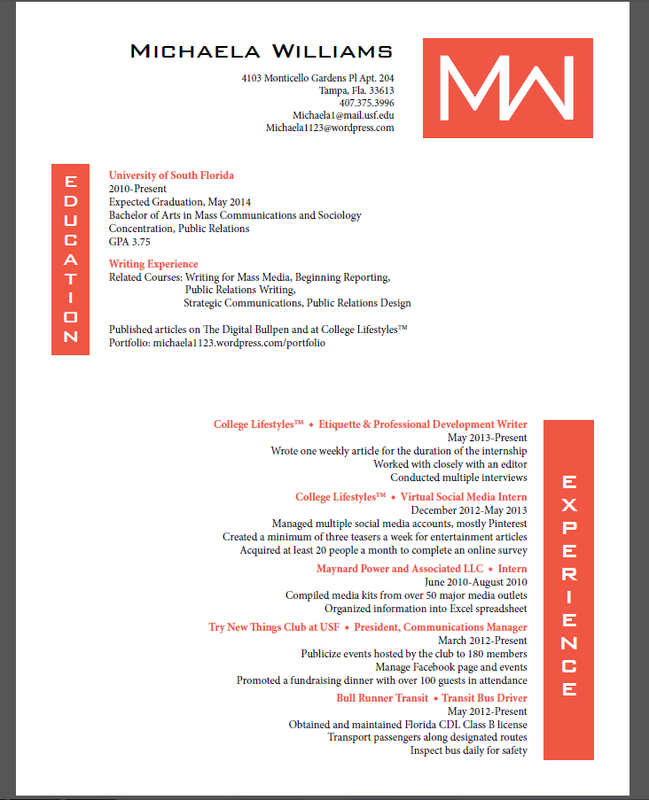 Check out my newly designed and edited resume. I am very proud of it and wanted to show you what I’ve done. As my senior year approaches I have come to realize a few things — I need to create a personal brand. My first step is to re-design this blog to be a better representation of who I am. Then I will work on my online presence though social media sites especially LinkedIn. Wondering what my personal brand will look like? 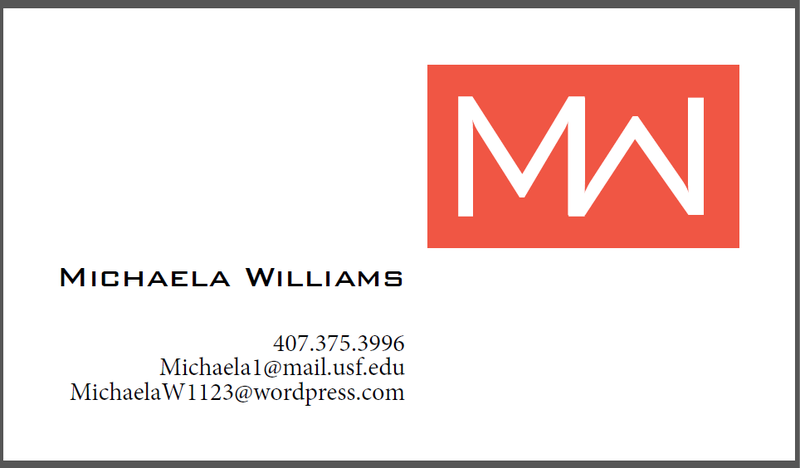 Check out the business card I created below or take a glance at my updated resume. I hope you will follow me through this journey. By posting what I learned in class, I will have a reference to it where ever I’m at and when I need it. It will be helpful in my future classes and in my future job. More importantly, I want to share what I learned with people. Maybe some freshman in college is trying to pick a major, Googles PR and my blog pops up. Hopefully they read my post and get a better idea of what PR entails. Or maybe a student is writing a press release and wants many different styles. 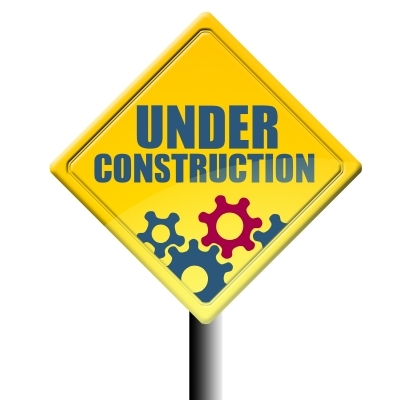 The series is titled Public Relation Tools and will feature a different tactic/tool each week. Hopefully I stick to this writing schedule. 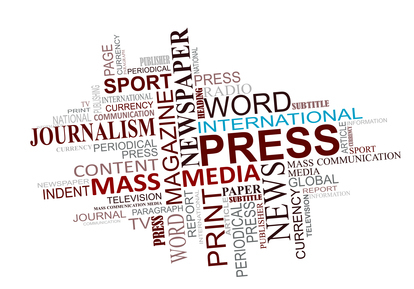 It will touch on traditional tactics (press releases, VNR, letter to the editor), new tactics (social media) and vocab that is important to the industry. If there is anything I learned this semester, it’s that vocabulary (jargon) is what set professionals apart non-professionals. My biggest goal for this series is to help students, but if that doesn’t happen I am fine with just sharing what I know and getting feedback. It’s official. I am now intern at College Lifestyles online magazine. I am a proud member of the social media team! My exact position has not been decided yet. I wanted to wait to post something, but I was just TOO anxious. College Lifestyles ™ is an online magazine bringing nutrition, etiquette, and lifestyle to the classiest of co-eds. It has a monthly readership of 50,000 and a huge social media following– which will be good for my position 🙂 The magazine has articles on various topics, my favorite are the etiquette and DIY articles. I’m not sure how much info I can share, but once I find out I’m going to be all on it. I’m so excited. I keep saying that because it true. This is just another step in my journey to becoming a professional! I’m on the right path, Finally! What’s this number represent you ask? It’s the amount of people who mentioned stuffing on social media this Thanksgiving. Something even more interesting, turkey was mentioned most on Friday– not Thursday. Very interesting. If you’re like me, you were wondering what other people ate for Thanksgiving. And if you’re like me, you were also adding social media to your list of things to be thankful for because it answered your question about other people’s dinner. As you have seen from my last two post, I have become consumed with perfecting my resume. Now I know that it wasn’t the best copy I had, but I thought it was pretty close. Oh how I was wrong. In my writing class, we discussed resumes and cover letters. The lecture was helpful, but the handouts were more informational. It gave me something to compare my résumé to, something to model my résumé after. Lacked action words: I tried using complete sentences (see first point). Action words are used when describing work experience. Format was ALL wrong: Well it wasn’t completely wrong, it just need some cleaning up. Too much white space in some areas, and not enough in other areas. I should have combined sections. Not enough of my identity: My professor’s says having some type of style will make you stand out. I’m still working on this, but I hope my QR code and new heading will help. Tell me what you think of my old resume and my new resume. I think it’s an improvement, but what do you think?